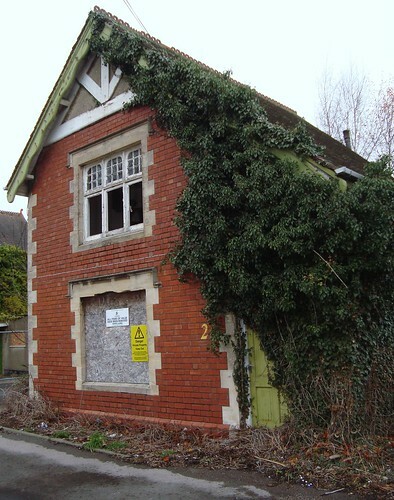 After a huge amount of work, the final consultation event to discuss the future of the derelict hospital in Cashes Green, Stroud, was held yesterday. Proposals to deliver 78 homes on the site, which is owned by the HCA, has generated more than its fair share of interest, for a number of reasons. Firstly, the site has been disused for too long and has become the focal point of an effective local campaign to bring it back into use. Secondly, the key players are newsworthy in themselves. The developers are Hab Oakus, a joint venture involving Kevin McCloud‘s company Hab and GreenSquare Group. Kevin has played a leading role in the local consultation events and has been accessible to the media, who are obviously interested in what he has to say. The other key partner in this project is the Community Land Trust (CLT), Gloucestershire Land for People, who will take responsibility for managing the affordable housing on the site once it is built. As well as being a vivid demonstration of the Government’s localism agenda, this is the first time such a CLT-led scheme has been taken forward on a HCA-owned site – making it a national first for Stroud. Hundreds of locals have attended the three consultation events, residents have been sent newsletters, and media relations, site visits and digital communications have been used to good effect. Most encouragingly for me, though, is the way the partners have strived to listen and respond to local opinion expressed during the consultation. Proof of the pudding is in the eating, certainly. But if anyone wants proof that local views are shaping the proposals, they only need to look at the media coverage from yesterday’s event. This project has produced the best example of community engagement I have been involved in since joining the HCA. I am only sorry I couldn’t attend yesterday’s event, but having my wisdom teeth pulled out the previous day put a stop to that. You can find out more about the scheme and material produced for the consultation here.